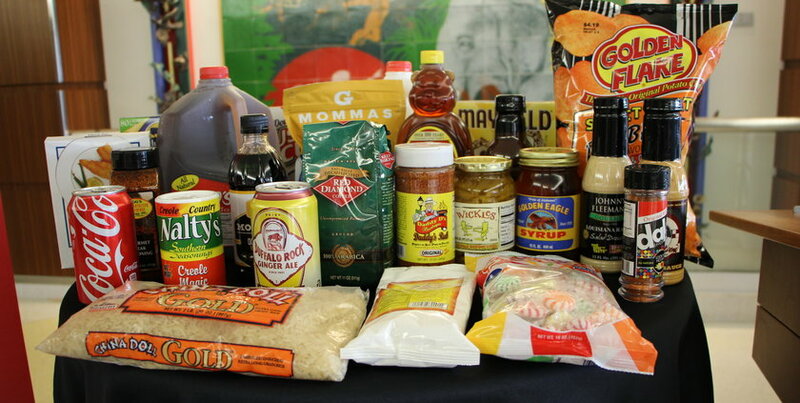 A sampling of some of the Made in Alabama goods you can find in your local grocery store. BIRMINGHAM, Ala. — The 2015 Buy Alabama’s Best campaign launched Wednesday, an initiative to increase awareness and sales of Alabama food products, as well as raise money for charities fighting childhood cancers. The campaign is a partnership between the Alabama Department of Agriculture and Industries and the Alabama Grocers Association. A portion of the sales will benefit Children’s of Alabama, whose mission is to provide the finest pediatric health services to all children in an environment that fosters excellence in research and medical education. Children’s of Alabama is a private, not-for-profit medical center that serves as the primary site for University of Alabama at Birmingham (UAB) pediatric medicine, surgery, research and residency programs. “By supporting the local economy and purchasing products made in our state, folks can feel good about not only benefitting local industry but also helping to spread hope to Alabama families facing cancer,” said Emily Hornak, Children’s Hospital Community Development and Cause Marketing manager in a press conference announcing the campaign. Yellowhammer State retailers are asked to support the campaign by displaying Alabama products in their stores, creating ads for local goods, and issuing special promotions. Participating businesses will also be selling Children’s of Alabama icons to support the fight to find a cure for pediatric cancer. The campaign encourages consumers to shop at their local grocery store and look for products with the Buy Alabama’s Best logo to ensure that their money will go to fellow Alabamians and ultimately the state’s economy. The Buy Alabama’s Best initiative is scheduled to run throughout the month of September and will educate consumers on what products are made, produced, manufactured, and/or headquartered in the state of Alabama. The Alabama Grocers Association estimates that food sales create a $2 billion impact on the state’s economy each year while employing one out of every four Alabamians. Participating companies in the Buy Alabama’s Best campaign can be found at www.buyalabamasbest.com. Thanks for reading! Let me know what you think about this story on Twitter.